The parrot mother awaits the return of her children. The parrot mother knows they will return. The parrot mother loves them even though they are gone. I've been a while without updating my blog, I took a vacation, but I'm back. the drawing that I present today is to participate in the "Fantasy Art Contest" sponsored by @ntopaz. The theme is a bird woman. She is the mother of green birds. 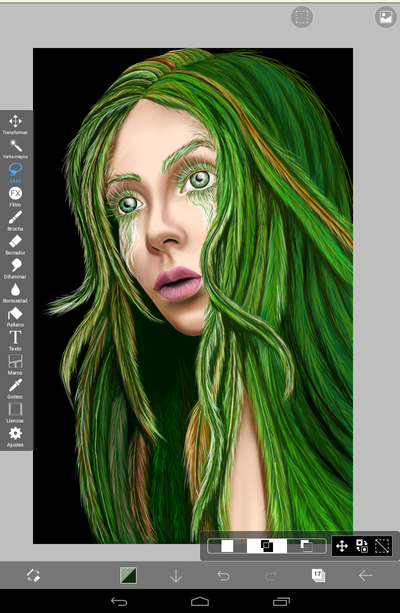 It is not a very easy drawing due to all the hair feathers, but it was fun to do all those details. This drawing is inspired especially by the bird called parrot. The parrots are characterized by their robust and curved bill, their prehensile legs and the plumage of intense colors with predominance of green. 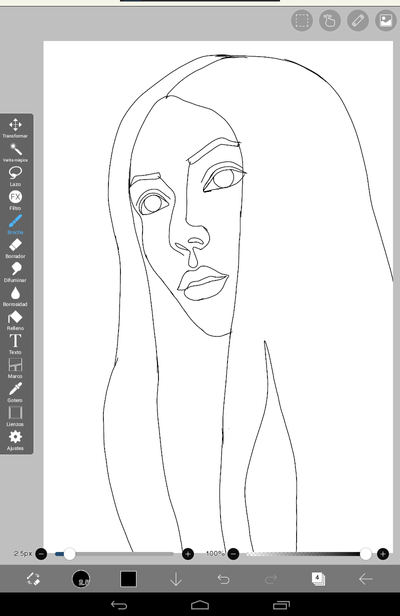 I still practice digital drawing in ibispaint, and I really like to work there, it's almost like using colored pencils, but instead I use my fingers and some application tools that do magic. 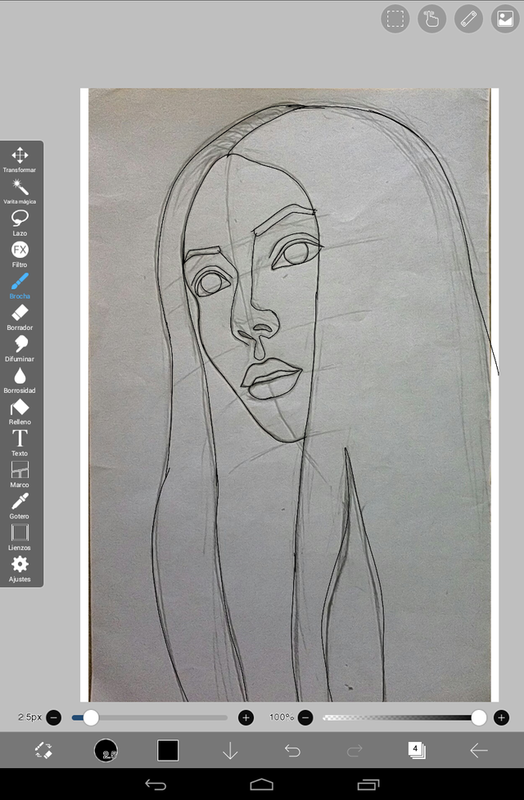 Step 1: I made a sketch on a sheet of white paper, took a picture of the sketch, imported the image into the application, created a new layer and redrew over the imported image. 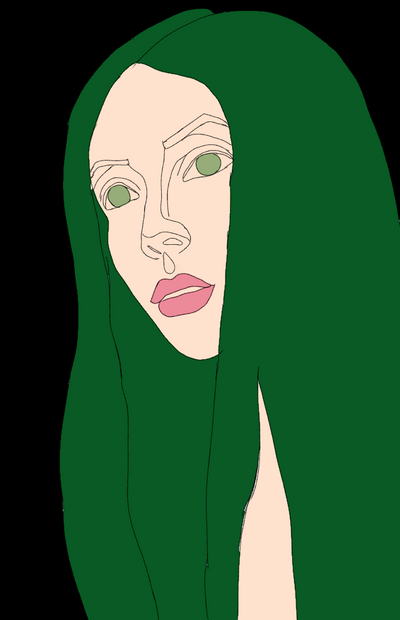 Step 2: In this step, add base colors. Step 3: Realization of shadows, eyelashes, eyes, nose and lips. 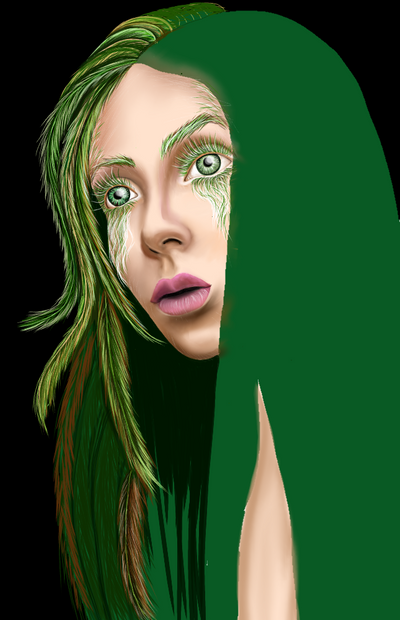 Step 4: Paint the hair of feathers. I used approximately 19 layers, to make the digital drawing. 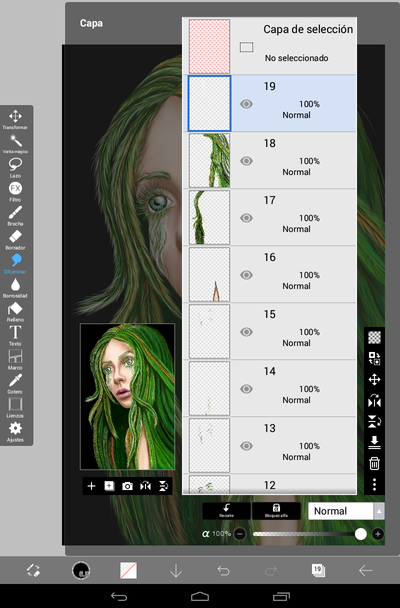 Here I show the process in a GIF animation. She is beautiful but she looks a little bit scared.. I wonder what happened to her. I like that you took the inspiration from the animal world. Your adaptation is very clever and cool! Her hair looks like fresh grass and I love the contrast of her pink lips and green eyes. You chose an amazing shade. Thank you very much for your comment. I apologize for how late I answered. She is scared because her children are gone. It was fun to color this drawing, especially in digital, although it still takes me a bit to master this technique. I'm glad you liked it, painting eyes is my favorite part, that's why they look so incredible, because I work with that much detail. Wonderful concept @francisftlp. I can totally understand that the detail in Bird Woman's hair would have called for both your time and patience. 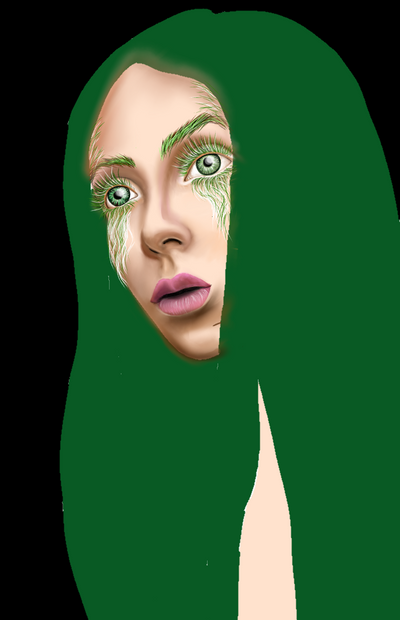 I love the way you have blended tans and light natural colours into the green of her hair, eyelashes and eyebrows too. Gives a glow of reality to your feathery fantasy. Your work has been recognized by the nTopaz Curation Team for its excellent quality and its enrichment to our community. We hope that you will continue to share your creative work at nTopaz and we look forward to your future posts. wow what a wonderful comment, the work was strong for all those details, but I love doing jobs like that. thanks for the wonderful comment. Thank you very much I feel very lucky to receive a comment from a great artist like you. No worry @francisftlp It's my pleasure! Espectacular Francis, los ojos combinados con su cabellos lucen increíbles. Aprovecho para invitarte utilizar la función multi-imagen de nTopaz, puedes cargar hasta 10 imágenes en tu post y las veremos en el carrusel de fotografías. Cualquier duda, escríbenos en el discord. Gracias @smeralda por el comentario y la información que me estas dando, agradezco mucho la ayuda que siempre me brindas. Lo siento por responder tan tarde. Thank you very much, you always attentive with the good comments. 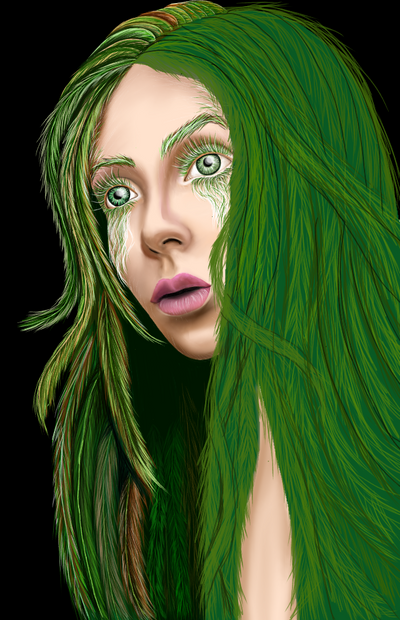 I loved your work, it really left me in awe... it is impressive all the details of your work such as hair for example and its beautiful eyes. Hey, thank you very much for your comments, I must say that you have inspired me, thanks to you; I was able to get involved in the digital art world, so I will always be grateful to you. Me alegra saber que estas en el Mundo Digital hehehe. Es un placer, me gusta lo que haces! Such talent. Watching the process is quite helpful to see too. I'm glad you enjoyed this job, thanks for commenting. That is an impressive piece! Wonderfully imaginative! Hey, I'm happy to have you here again, thanks for your amazing comments. Hello @francisftlp, thank you for sharing this creative work! We just stopped by to say that you've been upvoted by the @creativecrypto magazine. The Creative Crypto is all about art on the blockchain and learning from creatives like you. Looking forward to crossing paths again soon. Steem on!